On average, we spend 90% of our time indoors. Depending on the indoor air quality of your home, the number of allergens that are trapped in the air can severely impact your health. 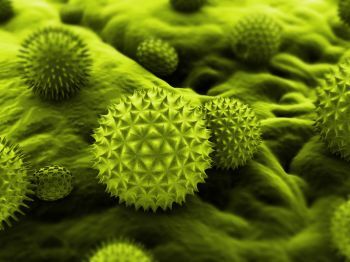 Having a contaminant-free home is pivotal to keeping your allergy symptoms under control. Many think that dusting and vacuuming are the most effective ways of eliminating unwanted pollutants in your home. What many don’t realize is that the irritants are not being removed from the home, but worse, stirred up in the air and left to float around. Dust mites – they live in your bedding, furniture, drapery, and carpets, they are one of the worst sources of allergy symptoms. Pet dander – the proteins in a pet’s dander, saliva and urine floats around in the air and can trigger an allergic reaction. Mold spores – circulating through the air systems, the mold is a huge cause of allergies and can be found in many different areas of your home, such as moist, dark places like basements and bathrooms. Anytime Restoration finally has the relief for your allergy symptoms you’ve been needing. We offer an effective and thorough allergen removal process that eliminates dust and other harmful allergens in your home. Our allergy cleaning services will put an end to the unwanted substances floating around, including dust removal, mold removal and all-around improve the indoor air quality of your home. By utilizing Chlorine Dioxide as an antiseptic, the unhealthy allergens in your home will be eliminated. We will find the unwanted contaminants and remove the allergens without leaving behind any toxic chemicals. Chlorine Dioxide is a safe-to-use sanitizing product appointed by the healthcare industry to productively decontaminate and sterilize. Our powerful allergen removal system is applied in your air systems, flooring/carpeting, mattresses, and upholstery, permanently removing allergens in your home and airborne dust and bacteria so you can finally breath easy. When you're suffering from allergens and need competent allergen removal services, call the experts at Anytime Restoration.